With Show season gaining momentum through June, Dotser is proud to be associated with some of the biggest and best agricultural shows in Ireland. With over 20 years specialist experience in event management the SuperShow system is combines the latest in cloud based technologies and lean management to deliver a custom solution to manage your event. The self contained solution is capable of effectively managing not only your website, social media and event listings, but also includes tools to effectively manage competition entries and trade stands. The mobile first system significantly reduces time spent on administration tasks, data entry, programme creation, results, payouts and reporting. 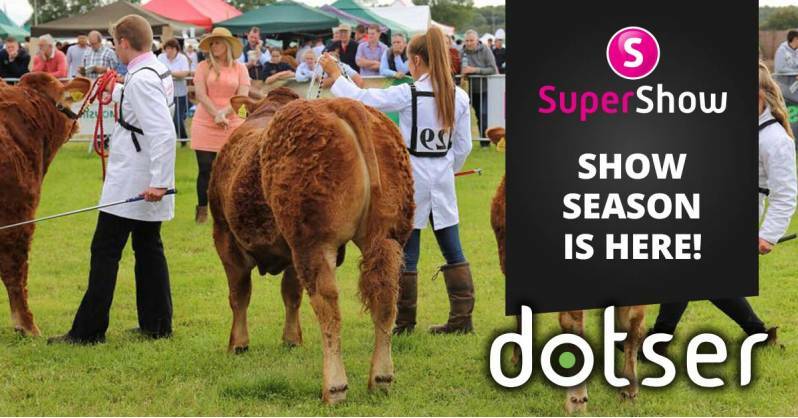 The SuperShow system is being used to manage some of the largest shows in Ireland including the Tullamore Show / FBD National Livestock Show, Cork Summer Show, Charleville Agricultural Show and Gorey Agricultural Show.